“No consensus on safety,” says the headline as news outlets reported yesterday that the Supreme Court has banned field trials for Bt talong, a GMO eggplant developed to resist pests. I have no words. But as a scientist and as a plant biologist, I have to speak up. There is clear consensus! Ask the various national academies of science around the world, or the various independent scientific professional societies. They have concluded that GMO technology is safe. An Italian research in 2014 published a major review of 1,783 research papers, reports and other material on GMO safety in the journal Critical Review of Biotechnology. They found “little to no evidence” that GMO crops had a negative impact on the environment. In a review of European Union-funded research on GMO safety conducted between 2001-2010, the European Commission concluded that there is “no scientific evidence associating GMOs with higher risks for the environment or for food and feed safety than conventional plants and organisms.” The EU Science Adviser Anne Glover declared publicly that GMO crops are safe – and was fired last year in part because she dared tell the world what the scientific community had concluded. 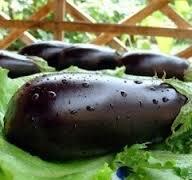 What the SC ruling stops is work by UPLB scientists who engineered the Bt protein into eggplant, rendering it immune to the ravages of insect pests. Bt is so safe, even the organic farming community certifies it can be used as a spray in organic farms. Bt corn, soybean and cotton have been grown since the mid 1990s in the US and elsewhere over tens of millions of hectares. There has been no scientifically credible evidence that growing these Bt crops over the last decade has had a substantial environmental impact. And because of the introduction of Bt crops, insecticide use has been lowered in farms that carry these GMO crops, reducing the exposure of farmers and consumers to synthetic insecticides. But there is a larger context to this issue that strikes at the heart of our ability as a nation to harness modern technology for our own needs. In this one ruling, the Supreme Court just declared that the Philippines should no longer invest in this technology. They have set a high bar for allowing GMO trials by our scientists, a bar so high that no one can reasonably overcome the legal obstacles they have put in place. The SC has just halted a major avenue for scientific research in our country, and has ceded future agricultural progress to the developed world, to China, or other countries that are using this technology to develop the next generation of crops. This SC ruling guarantees we will never be able to develop this technology for our own country. In 5-15 years, when it becomes clear that GMOs are the key to feeding the world, we will have to depend on other countries to provide the technology because we prevented our own scientists from working it out. Remember whom this decision affects. The big agricultural companies such as Monsanto will continue to work on GMO crops in their US labs, where there is no restriction on their work. This ruling affects our own Filipino scientists, those who have been working hard to develop biotechnology as one of the tools we can use to help our own farmers. The ones who are now shackled are the scientists at UP Los Baños, or PhilRice, or those hardworking researchers at any other agricultural laboratories in the country. In the next decade, our country will face enormous challenges. Our population continues to rise and we continue to need to import food because our farms do not have the yields that allow them to feed everyone in the country. Climate change is altering weather patterns, and we also urgently need to develop new crops that can withstand drought, salt water, or even flooding. GMO crops provide a potential safe and targeted way to help our farmers feed ourselves. It is not the only answer to our food security issues, but every major agricultural scientist agrees that GMOs will be an important tool in helping feed our country (or the world, for that matter). This Supreme Court ruling has just decreed that, when we find out we need it the most, our own scientists will be unable to use this technology to bring new crops to the field. At that future day, not long in coming, we will find ourselves completely at the mercy of the big agricultural companies who have continued to work this technology out in their corporate labs. Michael Purugganan is a Filipino scientist, and is the Silver Professor of Biology and the Dean of Science at New York University.